What are organizational values, and why do they matter? If someone asks you what values you hold and seek in others, how would you respond? You are most likely able to articulate the values you seek to exemplify in your behavior and those you respect and appreciate in your spouse/partner, friends and colleagues. Now, consider your workplace. What organizational values come to mind? You may list points from your company’s formal values statement, or your answer may be more subjective - based on your experience and observations. Many leaders fail to realize that, whether formalized or not, each organization certainly possesses a set of values that drive the behaviors of team members and their interactions with each other. A company’s culture is composed of the values and practices – values put into action – shared by members of the team. It is the personality of the company, defining the environment in which employees work and behave. What do you notice about these challenge areas? Are they results-driven? Do they relate to compensation or flexible schedules? No, they are driven by the behaviors of the leadership team, and this trend is not unusual. 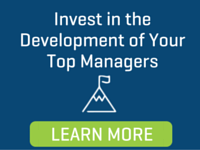 For more than 40 years, Performex has provided leadership development programs and coaching. 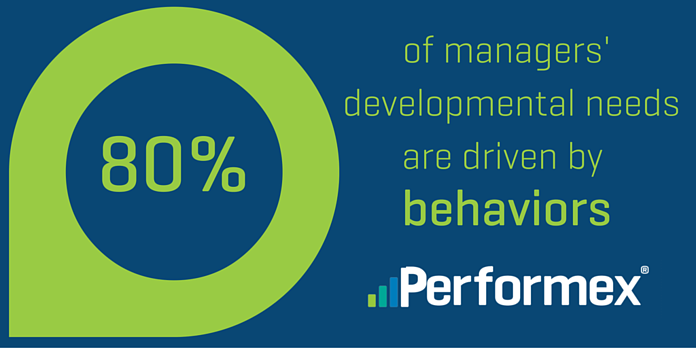 Our data, including 360 degree feedback of our program participants, shows that 80% of managers’ developmental needs are behavior-based. Many leadership development programs focus on skills or knowledge transfer. At Performex, we take a different approach. We believe that behavioral change is the key to successful leadership, and we develop programs that result in real and lasting improvements in participants’ abilities to communicate, engage and inspire. In order to address the challenge areas presented in their engagement survey, the construction firm above enlisted Performex’s help. With the goal of improving engagement through organizational values, we developed a custom leadership alignment program, tailored to specific opportunities identified in the survey. Through an interactive two-day workshop, we worked with the firm’s key executives to develop a Leadership Excellence Model, a roadmap guiding values and behaviors moving forward. Identify the target culture – what organizational values do you want the company to embody? Define and describe each value’s importance within the organization. Outline the key behaviors leaders and employees must demonstrate in order to support the value. How will the values and behaviors be communicated to all team members? What training will be provided for managers and employees? How will we integrate the values into existing systems and structures? How can we encourage accountability and continued improvement by creating feedback loops? Following implementation, conduct a follow-up survey to evaluate program success. The biggest challenge to sustaining positive behavior change is the human tendency to revert to old, comfortable habits once we are stressed. As with any corporate culture initiative, it is critical that leaders consistently model, communicate and reinforce organizational values and behaviors. We have found executive coaching to be extremely beneficial in supporting lasting behavior change and program success. Are you interested in discussing Peformex’s approach to developing organizational values to boost engagement and drive results? Our leadership and engagement experts would love to share strategies for improving corporate culture at your organization. Request a free consultation today.